One by one they each stood up. Some told funny jokes, while others wowed the crowd with their statistics. It was a unique gathering of people from entertainment, including entrepreneurs, media executives and investors. At the end of July, Warner Bros. held a Demo Day for its inaugural Media Camp class where five companies pitched their products. Demo Day is just one of the signs of the traditional media world looking to startups for new technology that can complement their existing businesses. The inspiration for the Warner Bros. Media Camp stemmed from the results of the Media Camp under Turner in San Francisco. 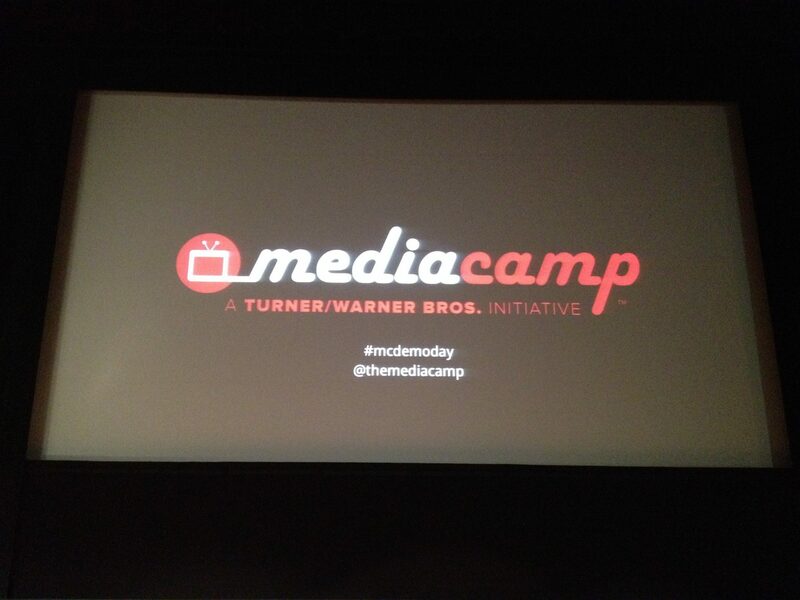 Media Camp is a startup accelerator that focuses on growing innovation in media and technology. Key challenges the team from Warner Bros. Media Camp hoped to address included increasing the value and experience of digital ownership, leading the next generation of user interfaces and creating meaningful applications from data. “We were so enthused by what [Turner Media Camp] had achieved and how they had focused Media Camp that we thought, ‘Wouldn’t it be a great idea to see what we can achieve here in Los Angeles and share the, if you will, the outreach and experiences with entrepreneurs covering a broad area of techniques and tools and services that could help us drive our business?’” said Darcy Antonellis, President and Chief Technology Officer, Warner Bros. Technical Operations Inc.
Media Camp consisted of weekly workshops and social events during a 12-week period, where startups could learn about each of the media businesses under the Warner Bros. umbrella. “I know that our team has really enjoyed the experience over these last 12 weeks, to spend time with them and to share different points of views about existing businesses and evolving businesses,” Antonellis said. Warner Bros. focused on selecting early stage startups and they invested a small amount of money with each of the companies. The five startups selected for the inaugural class included discount ticketing group Dealflicks, social commerce-focused Kumbuya, production-related CineCore, video platform Reelhouse and social storytelling-focused SKIT! “Having personally been through another big startup accelerator, I can say with authority that Warner and Turner have pioneered a unique and highly effective program and they’re just getting started,” said Robin Johnson, co-founder and CEO of SKIT! Josh Ritcher of Cinecore speaks at Demo Day reception. Talya Ercag of Dealflicks serves popcorn to attendees of Demo Day. Chris Im of Dealflicks speaks at Demo Day reception. Fast forward weeks after Demo Day and many of the startups have seen the positive effects of having been a part of Media Camp. Karp believes that Kumbuya stood out among the pact of applicants with its vision on engagement and social commerce as well as the momentum created with already having thousands of users and communities established on the site. “If I look at all the companies in my class, they all had launched, they all had raised some money, or some of them had been in other accelerators and they had already had some validation that their product was meaningful,” Karp said. Similarly, Bill Mainguy, CEO & Co-Founder of Vancouver-based Reelhouse, advises those looking to apply to Media Camp to hone in on the value that their product can bring to the organization. “The more thoughtful application you can think of between your company and Warner Bros. the better,” Mainguy said. Mainguy also highlights the importance of reaching out and showing tenacity in relationship-heavy industries such as media and entertainment.